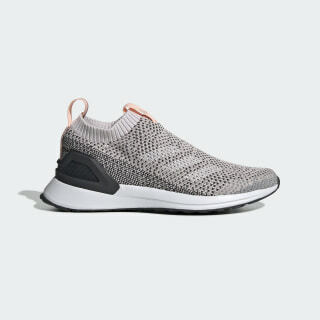 Laceless running shoes for everyday wear. Lose the laces without sacrificing support. These juniors' slip-on running shoes have a stretchy knit upper that hugs the foot like a sock. The neutral shoes have plush cushioning and a flexible outsole for a smooth and comfortable ride.